Your living room should provide you with a space where you can relax and spend time with friends and family. Unless you’re a professional designer, however, choosing pieces and determining the layout of your living room can be challenging. Here are some tips for ways you can create an inviting and attractive space. Colors can help set the mood of any room. Before you start picking items of furniture, it’s important to consider your color palette. Light shades of cool colors, like blue and green, can help create a tranquil atmosphere. Warm colors like red or orange can make the room feel more energetic and vibrant. Choosing neutral colors like white, black, or brown, can give things an uncluttered, minimalist look. 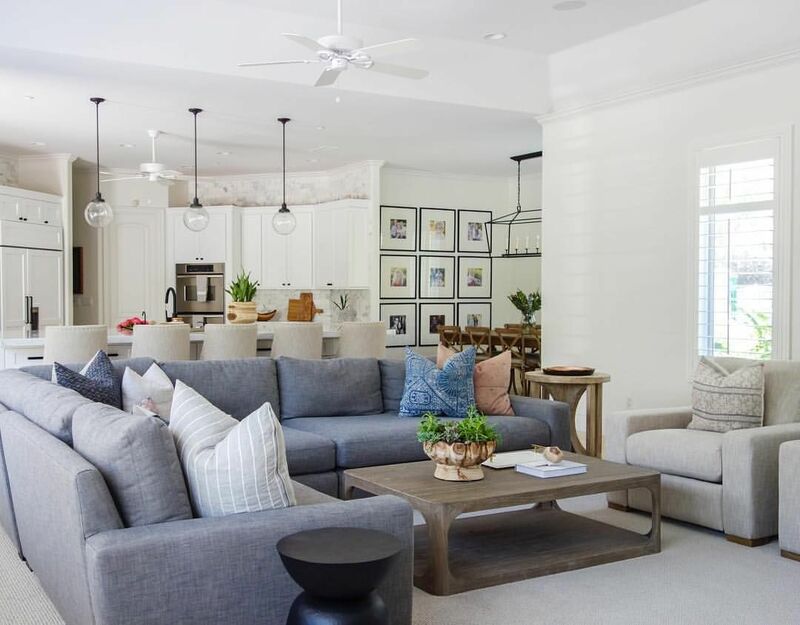 When trying to decide what pieces of furniture you need for your living room, it can be helpful to consider what the focal point of the room is. A focal point is the part of the room that draws your attention. In many homes, the focal point of the living room is the television, with couches and chairs being arranged so that everyone has a good view. A fireplace or a large window could also serve as a focal point. When picking out furniture for your living room, you should first measure your space. You might fall in love with a couch you see at the store, but if it takes up too much room, it can make the entire space feel cramped and uncomfortable. A chair might fit with your color palette, but if it’s too small, it may look lost and out of place in a spacious living room. Each piece of furniture has size, depth, and width, and all of these factors are important. Having the right furniture is key to creating a living room you love. Consider visiting a store that specializes in selling living room furniture in Mesa like Kerbys Furniture. With a little bit of work, anyone can create a beautiful living room.